You have a lot at stake. You’ve hired an architect, builder, and contractor to work on your property. Whether the property is being built from the ground up or is undergoing renovations, you are putting a lot of money into it and you are eagerly awaiting its completion. You hired experts, such as architects and builders, to do a job. You entered contracts with each party so that you knew what to expect with regard to the time the project would take, the money the project would cost, and the materials that would be used in building your home or business. Unfortunately, one or more of the experts that you hired has violated the terms of your contract or committed malpractice, and you are left with construction delays and financial liabilities—and you don’t have the completed project that you expected. Different plans. The property owner may contract with an architect to develop a specific plan for a property. The plan could include, for example, the size of the structure, the specific number of rooms in the structure, and the cost of the structure. If the architect submits plans that differ significantly from the plan that the architect was hired to create, then a dispute may occur. Scope of work. The construction work that is done on your property should be done in compliance with the approved architectural plans. If the builder, contractor, or subcontractor fails to comply with the approved plans, then the contract may have been violated. Materials used. A construction contract may specify what materials should be used. If the builder, contractor, or subcontractor fails to use the specified materials, then a dispute can arise. Defects. Builders, contractors and subcontractors are expected to comply with local ordinances and laws and to act with reasonable care. If they fail to do so and their work results in a building defect, then it could create a safety risk and it could require additional time and money to fix. Timelines and delays. Every day that you are not on your property costs you money. Whether there is a delay in operating your business from that location or you are unable to live on your property, the financial costs can be significant. 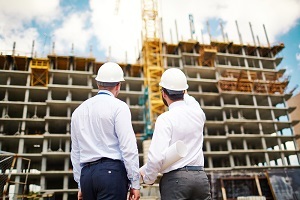 Thus, a delay can be expensive and can be a reason for a construction contract dispute. Cost overrun. Price was likely a significant factor in your construction contract negotiation. If the cost is significantly more than the contract price, then a dispute may occur. Property damage. If anyone hired to work on the job site is negligent and that negligence results in property damage, then a dispute may occur. Sometimes, however, the problem that occurs isn’t because of a contract that has been breached. Instead, the problem occurs because of an architect’s malpractice. Architects are professionals. In the Commonwealth of Kentucky, architects must meet certain requirements in order to be licensed by the Kentucky Board of Architects. An architect owes each of his clients a duty of care. If that duty of care is breached and the client suffers a financial or physical injury because the architect failed to act as a reasonable architect would in similar circumstances, then the client may recover damages. Relying on faulty surveys. Property surveys are important to the proper design and building of a structure. Architects should create plans based on reliable surveys. Failing to supervise the project. The contract you entered with the architect may require him to supervise contractors during the building process. If the architect fails to provide supervision and a problem develops, then the architect may be liable for damages. Violating state or local building codes. Architects are expected to know Kentucky and local building ordinances and to make sure that their designs comply with all relevant laws. Failing to use information provided by inspectors. Any issues identified by a qualified inspector and reported to an architect should be addressed by the architect. Creating a design that results in water problems or structural issues. Architects should use their professional skills to avoid these building problems. You have the legal right to seek compensation if a construction contract has been violated or if an architect has committed malpractice and you have been hurt. Contract disputes and claims of architect malpractice can be stressful, time consuming, and costly. Some contracts require mediation or other forms of alternative dispute resolution. Regardless of whether your claim will be decided in mediation, arbitration, or a court of law, you need an experienced attorney to represent your interests and to help you get the full recovery that you deserve. At Gray & White Law, we are committed to providing each and every client with the individualized attention that they deserve. We spare no reasonable expense in pursuing full and fair recoveries and our business litigation lawyers will fight hard to help you recover from any harm that you’ve suffered. We are available to you 24 hours a day, every day of the year. Simply start a live chat with us now or call us directly at 888-450-4456 for more information. Have You Been the Victim of Accounting Malpractice?